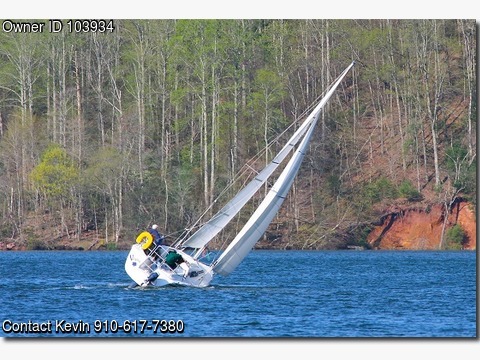 Hunter 26.5 Sailboat offered for sale. 1988 model, newer sails, fresh bottom paint! Fresh water boat on Watauga Lake TN until August 2016! 9.9 Nissan outboard engine. Alcohol stove, propane grill, 5 gallon fresh water tank and sink in kitchen, portapotty, solar panel to keep battery topped off! Fun, fast, easily single handed!